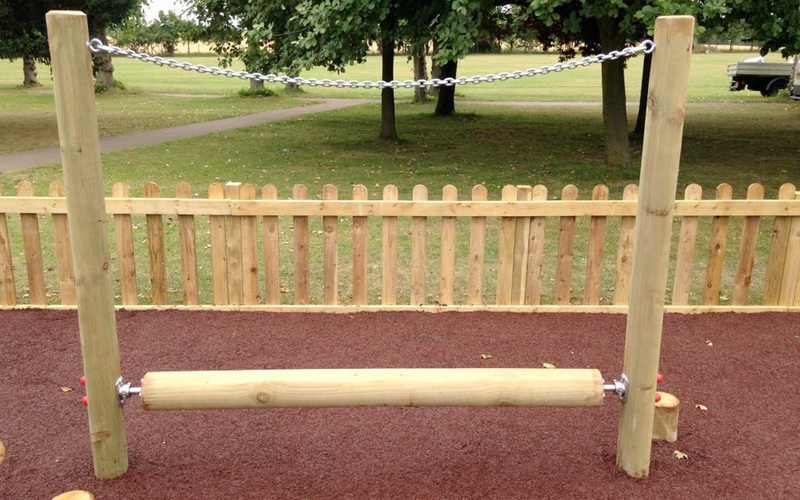 The Rotating Log Walk is safe on grass. 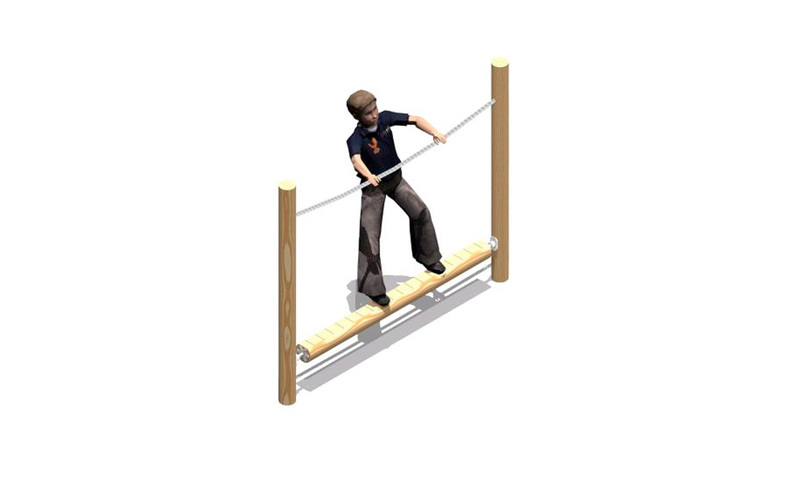 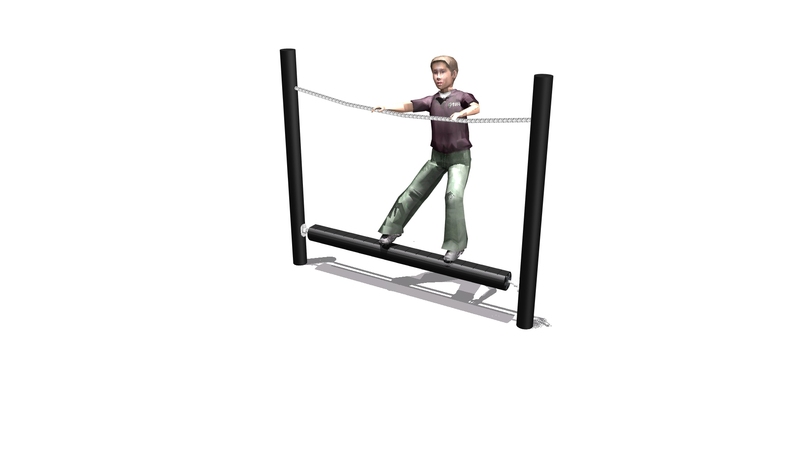 The Rotating Log Walk is similar to the Chain & Pole Traverse, but has stainless steel bearings on both ends to allow the balance beam to rotate left and right. 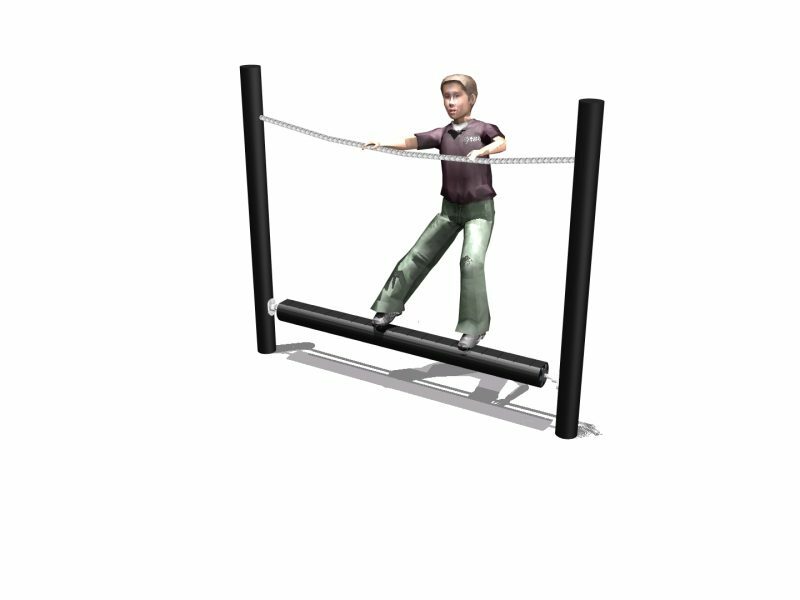 This item will help improve balance and grip. 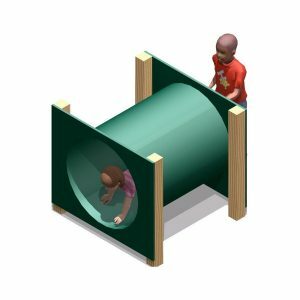 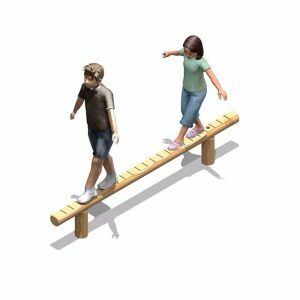 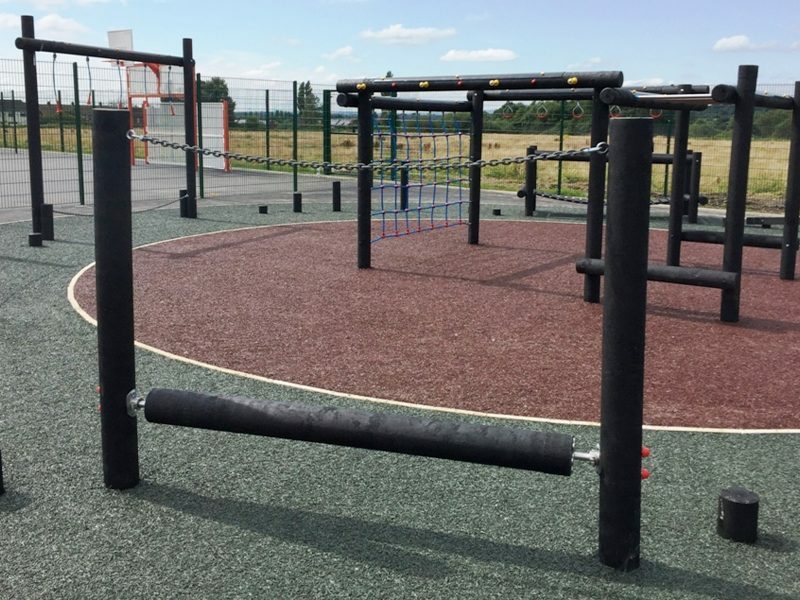 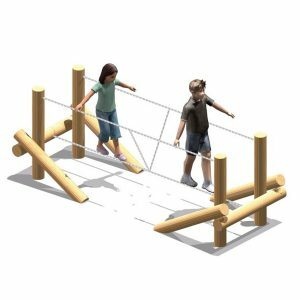 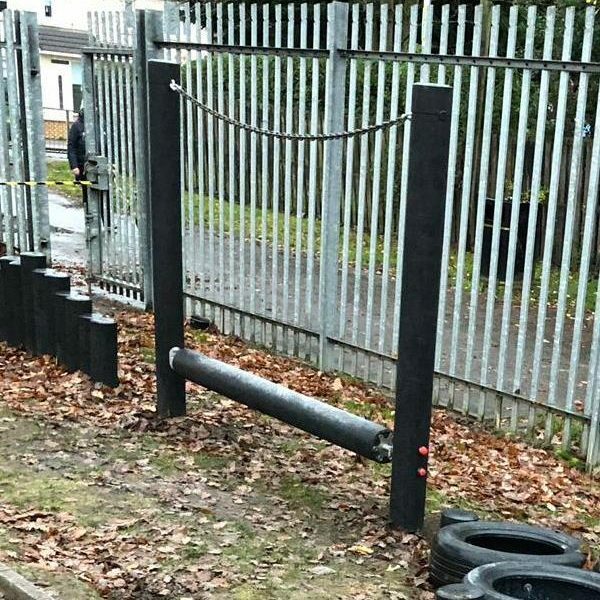 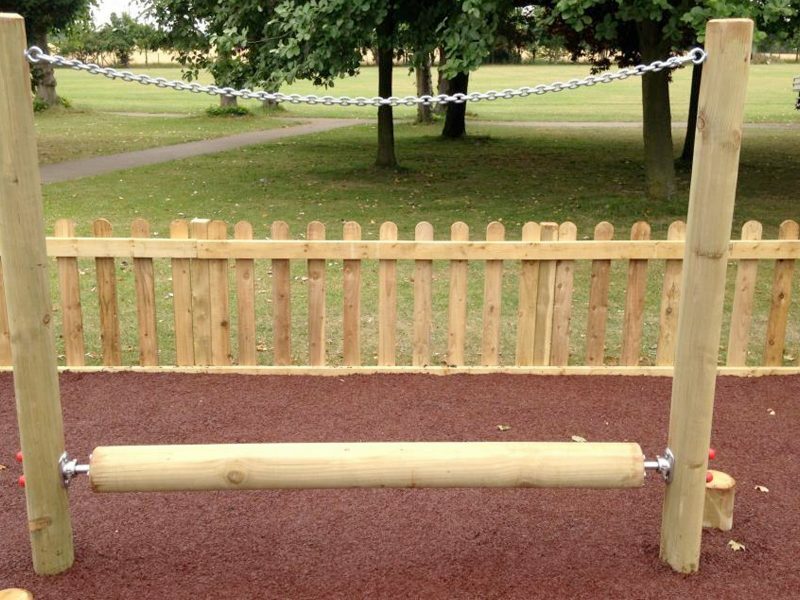 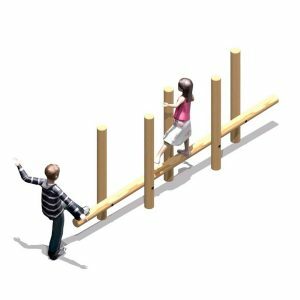 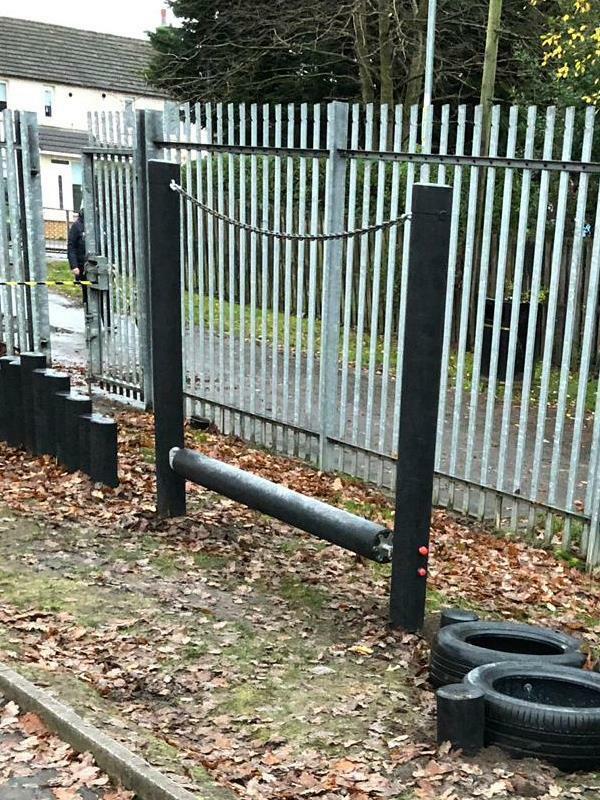 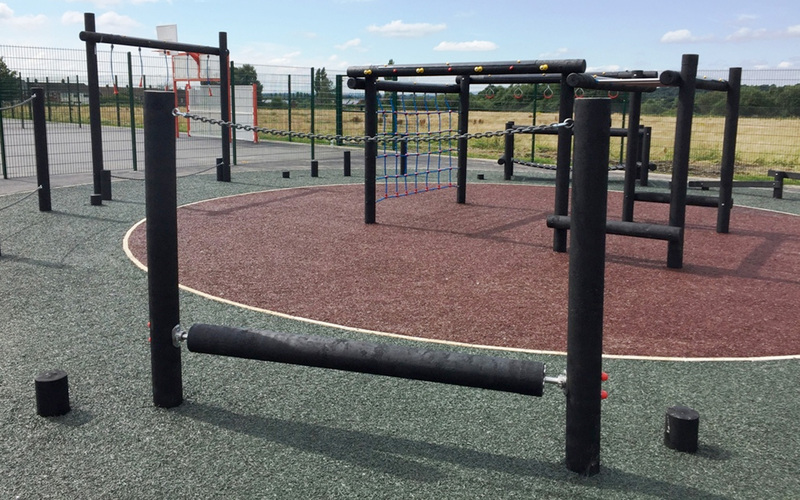 The Rotating Log Walk will prove to provide a challenge for younger and older users alike, and provides assistance in improving balance, grip and hand-eye coordination.